Spreading joy and smiles from our bakery to your home. In 1993, Eli and Sarah Lantz, with their family of nine children started baking woopie pies, pies, etc in the kitchen of their farmhouse. Early Friday morning, Eli loaded up his horse and buggy pickup with fresh baked goods and made the trip from Sunnyside to Green Dragon Market in Ephrata, PA. Over time, Sunnyside gained a reputation for fresh homemade baked goods. After having outgrown the kitchen and the farmhouse basement, the Lantz family moved to a larger facility in East Earl, PA. In 2007 they opened the bakery for retail sales Friday and Saturdays. 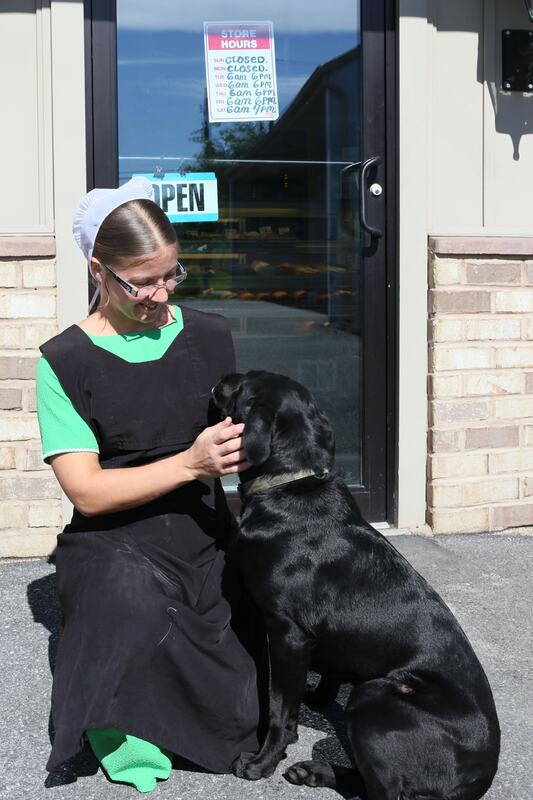 As Sunnyside became more popular and customers driving in asking for fresh baked goods, they began extending their hours and opening more days. In 2012, Sunnyside opened a third location at Leesport Farmers Market. Early 2016 Eli and Sarah were ready to retire and decided to sell to their daughter and son in law, who now own and operate Sunnyside. Our goal at Sunnyside is to give God the credit for each new idea or creation, and to send each of you on your way with a smile and complete deliciousness. Thank you for being a part of our passion to spread happiness.